March 1930. 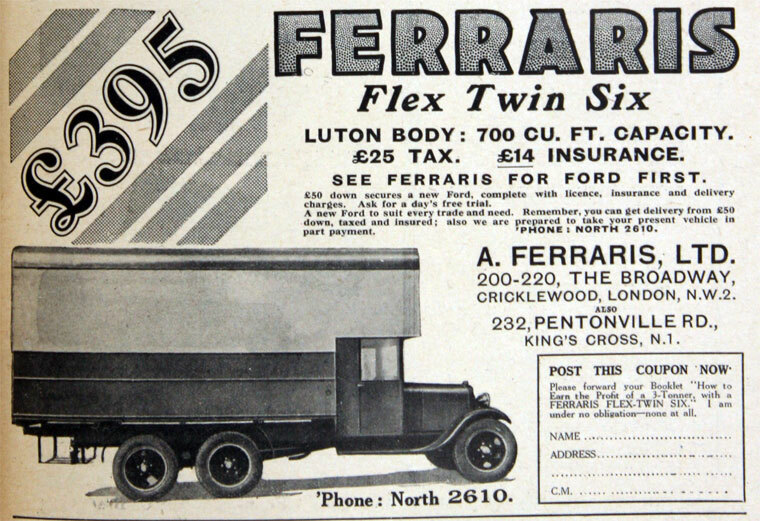 Flex Twin Six Luton body on a Ford chassis. 1961 Motor engineers and motor vehicle distributors and dealers. 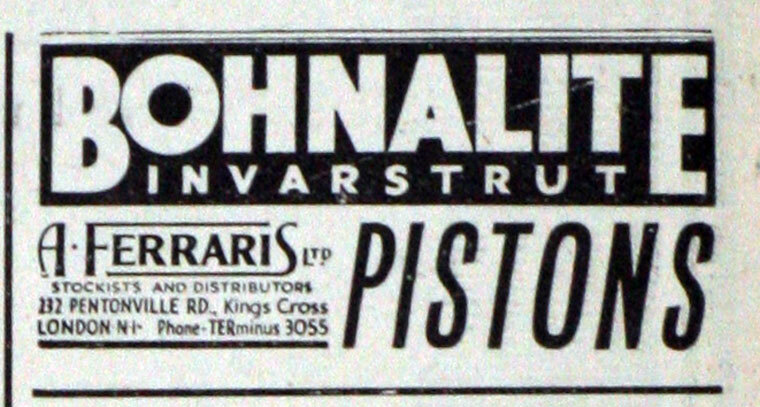 1984 F. H. Tomkins agreed to purchase Ferraris Piston Services Ltd, a vehicle component and spares distribution company . This page was last edited on 6 May 2016, at 13:28.